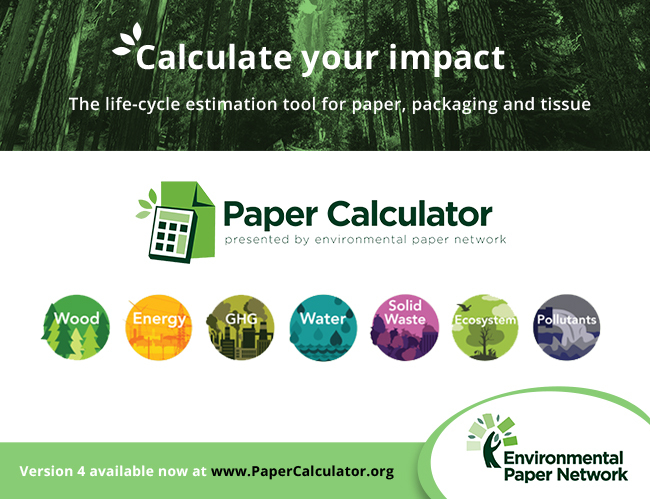 An improved web-based Paper Calculator by the Environmental Paper Network Environmental Paper Network-North America, will provide tens of thousands of annual users with new information and features to help them measure the impacts of their paper and reduce that impact through better choices. 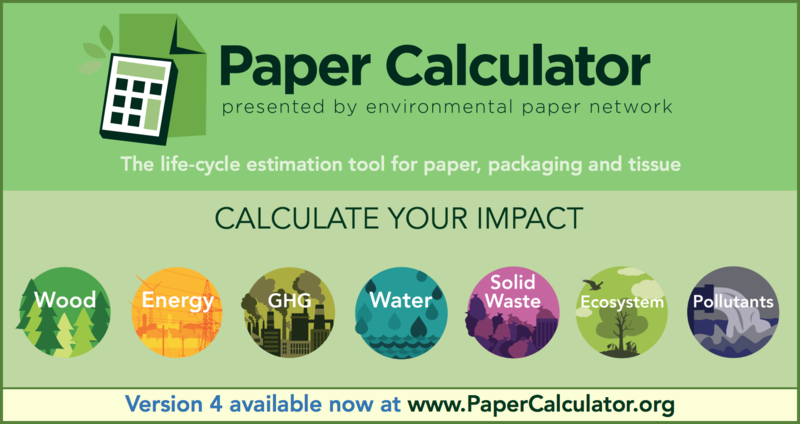 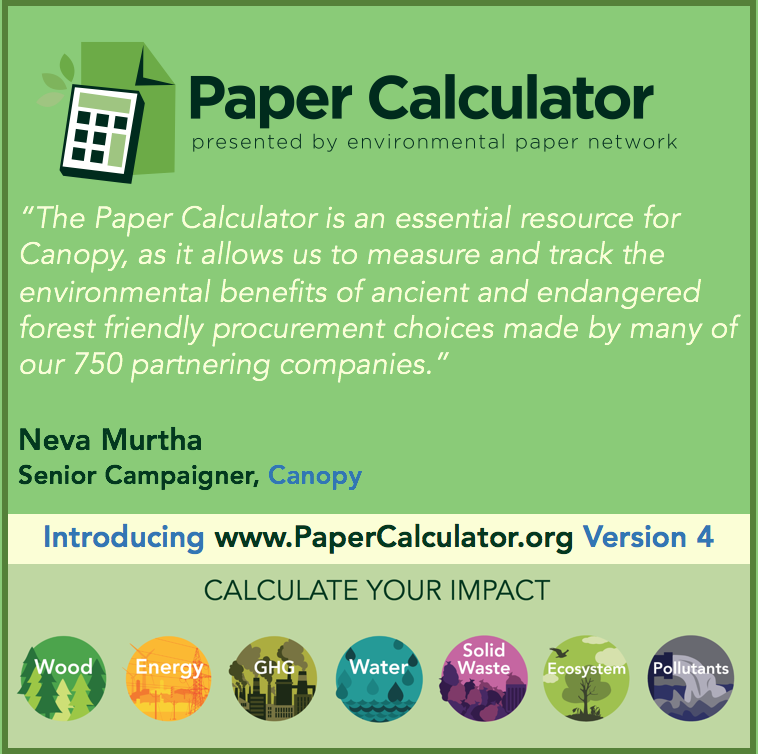 Paper Calculator version 4 (www.PaperCalculator.org) delivers more expansive environmental impact categories including additional pollutants and new biodiversity and ecosystem impacts, for a total of 24 indicators in all. 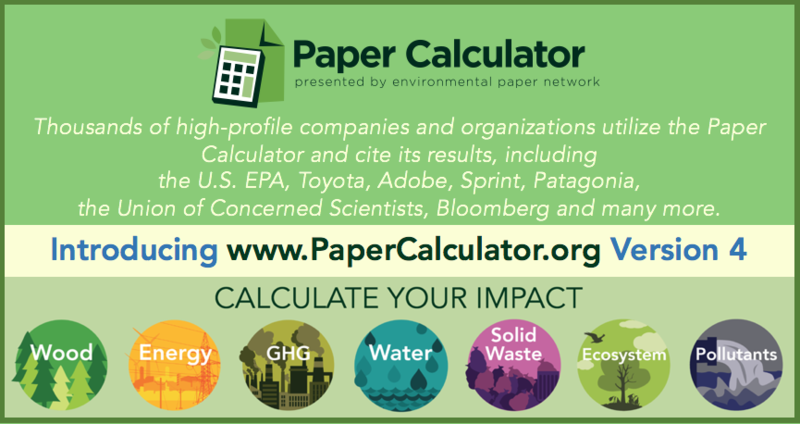 It provides more accurate climate change reporting and has been updated with the latest paper industry and life cycle assessment data from trusted sources. 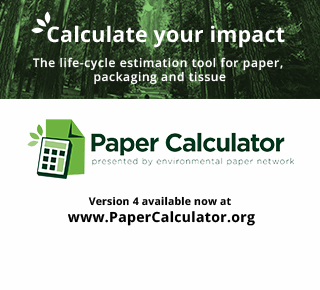 Additionally, the new calculator covers an expanded range of paper grades, and now includes the growing sector of tissue products.